Today I've had three customers, all after another, admiring our different selection of wooden mobiles for their children/nieces/grandchildren. I've noticed how popular they are, especially for couples setting up bedrooms before the baby is due. It adds such a sweet quality to a room whether it's for a girl or a boy. They remind me a lot of my childhood in which I would stare for hours at the wooden one above my bed. 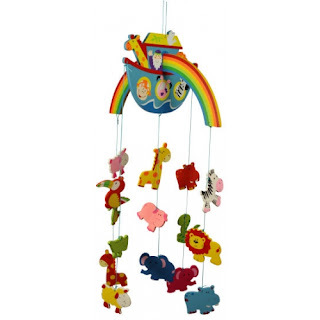 Our mobiles are made out of wood and are very multi-coloured, giving them a very vintage and traditional look! 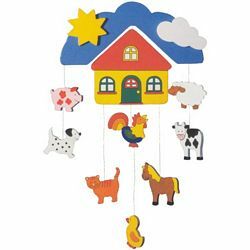 I also love our different mobile themes such as, a princess mobile, farm mobile and my most favourite mobile- the noah's ark mobile. We also have individual birds with flapping wings such as, seagulls and parrots.